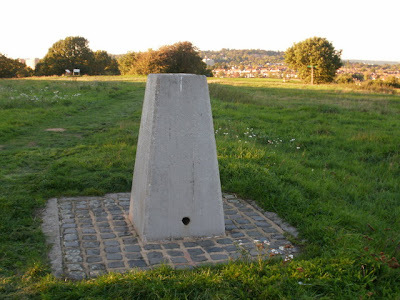 Rising to a modest height of 85m, or 279ft, on a clear day Horsenden Hill, in the London Borough of Ealing, offers views to six counties and ten London Boroughs from its summit. Once home to an iron age settlement, which is now a scheduled ancient monument, it now plays host to two golf courses, a canal, keen kite flyers and sometimes even a herd of grazing Highlander cows. Due to its strategic position, near to Northolt RAF Northolt, it played host to gun emplacements and a searchlight stations during the major conflicts of the 20th century, but now is an altogther more sedate affair. I used to go to Horsenden Hill with my Dad when I was a kid to fly my kite. I loved it, incredibly unspoilt and beautiful with fantastic views.